To claim this profile, please confirm you are Audrey Bilow. To follow this profile, please let us know your relationship to Audrey Bilow. RESULTLoss Girls varsity basketball @ Beekmantown. The Seton Catholic Central varsity basketball team lost Friday's away non-conference game against Beekmantown (Plattsburgh, NY) by a score of 49-19. RESULTLoss Girls varsity basketball @ Peru. The Seton Catholic Central varsity basketball team lost Thursday's away non-conference game against Peru (NY) by a score of 54-12. 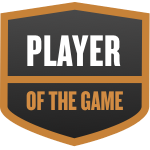 Audrey was selected the Player of the Game in the basketball game against Willsboro Central on Mon, Feb 11 2019. Audrey Bilow had her first double double of her varsity career. Audrey's basketball stats have been updated for the win @ Willsboro Central. RESULTWin Girls varsity basketball @ Willsboro Central. The Seton Catholic Central varsity basketball team won Monday's away conference game against Willsboro Central (Willsboro, NY) by a score of 35-29. Audrey's basketball stats have been updated for the loss vs. Westport Central. RESULTLoss Girls varsity basketball vs. Westport Central. The Seton Catholic Central varsity basketball team lost Tuesday's home conference game against Westport Central (Westport, NY) by a score of 60-36. Audrey's basketball stats have been updated for the loss @ Northern Adirondack. RESULTLoss Girls varsity basketball @ Northern Adirondack. The Seton Catholic Central varsity basketball team lost Friday's away non-conference game against Northern Adirondack (Ellenburg Depot, NY) in overtime by a score of 69-61. Audrey's basketball stats have been updated for the win vs. Keene Central. RESULTWin Girls varsity basketball vs. Keene Central. The Seton Catholic Central varsity basketball team won Thursday's home conference game against Keene Central (Keene Valley, NY) by a score of 47-32. Audrey's basketball stats have been updated for the win @ Schroon Lake. RESULTWin Girls varsity basketball @ Schroon Lake. The Seton Catholic Central varsity basketball team won Tuesday's away conference game against Schroon Lake (NY) by a score of 36-28. Audrey's basketball stats have been updated for the win vs. Chazy. RESULTWin Girls varsity basketball vs. Chazy. The Seton Catholic Central varsity basketball team won Thursday's home conference game against Chazy (NY) by a score of 70-26. Audrey's basketball stats have been updated for the win @ Crown Point. RESULTWin Girls varsity basketball @ Crown Point. The Seton Catholic Central varsity basketball team won Tuesday's away conference game against Crown Point (NY) in overtime by a score of 52-45. Audrey's basketball stats have been updated for the loss vs. AuSable Valley. RESULTLoss Girls varsity basketball vs. AuSable Valley. The Seton Catholic Central varsity basketball team lost Saturday's home non-conference game against AuSable Valley (Clintonville, NY) by a score of 65-48.